Nigeria is an oil-rich country and it is often referred to as the gateway to Africa. The country is also notorious for various scams, especially in the finance sector. Therefore, if you are a Nigerian and you want to trade currencies, then you should look for a Central Bank of Nigeria (CBN) regulated forex broker. There are opportunities as well as scams in forex trading. As a trader in Nigeria, you must identify a reliable platform provider so that you don’t lose your hard earned money and stay away from money launderers, scammers, and those brokers that involve in illegal activities. The first thing to check when choosing a forex broker in Nigeria is whether they are regulated by the CBN. Regulated brokers are supervised, watched, and monitored. Once you have identified a regulated broker, ensure that the platform provided them is user-friendly and has the desired features. The next step is to ascertain that the commissions charged by them are reasonable and competitive. Finally, check out the types of accounts, customer service, and other services provided by the broker. In the western countries, forex regulation is more or less similar. Many brokers offer higher leverage and the margin requirement is lower. Some countries allow only extremely low leverage. In such countries, the margin requirement is generally higher. In most countries, the margin requirement is about 5 percent and the leverage offered is around 50:1 leverage on average. Nowadays, it is becoming more and more difficult for brokers to offer without any license as they will be fined or prosecuted if they involve in illegal activities. The forex market in Nigeria is regulated by the CBN. The central bank ensures transparency and efficiency of currency market by issuing licenses to both local and foreign brokers that want to operate in the country. The consumer protection department of the bank receives complaints from investors and analyzes them. If they determine that the broker is guilty of not safeguarding the best interests of their clients, severe fines will be slapped on them. Their licenses may be revoked if they have involved in scams. In fact, CBN will protect your interests protect your capital. This is a very important aspect that you must check. The MetaTrader 4 is most versatile and popular trading platforms in the currency market. Most brokers make it available to their clients. If a broker does not offer you this platform, then you must consider whether you should open an account with the broker or not. The platform offers an easy-to-use chartstation and you can place multiple orders on currencies, indexes, and metals. You can also analyze them on different time frames and create technical indicators for the most popular pairs and your favorites. If you have good programming skills, you can even create codes and run them. This is the same as creating a robot to trade on your behalf. The platform software also comes with copying and backtesting functions. This helps you to check whether your trading strategy is working well or not. Moreover, you can copy the trades of successful traders that allow you to follow them. There are many other features as well. You can download the demo version of this platform to familiarize yourself with the functions before investing real money. Generally, brokers charge a commission for trades. However, currency trading is different from stock trading. Stockbrokers levy a fixed fee for a trade or on the basis of the number of shares. In the currency market, brokers make money through spreads. The spread refers to the difference between ask and bid rates. For example, imagine that the GBP/USD pair is trading at 1.2435/1.2440. This means that the difference between ask and bid rates is 5 pips. This is what the broker gets. Choosing a broker that offers the lowest spreads helps you to cut costs and increase your profits. Check whether the broker you are planning to work with offers a demo account to backtest your trading strategies. Though a demo account typically expires in 30 days, you would be able to learn to work on the platform. However, the broker should be offering you different types of accounts when you want to trade on the real platform. If you don’t have lots of money to invest, you can consider this account. A micro account is best suited to those who can invest only a couple of hundred dollars. This account helps you to trade 1k micro lots without risking too much money. People who can allocate a little more money, say a couple of thousand dollars for investment, you could opt for mini accounts. This account enables you to trade 10k lots. You would make more money than a micro account holder. Lot size for a standard account holder is 100k. This means that you have the ability to invest more than 10,000 dollars. Profit is directly proportional to risk. Higher the risk, the higher will be the profit. 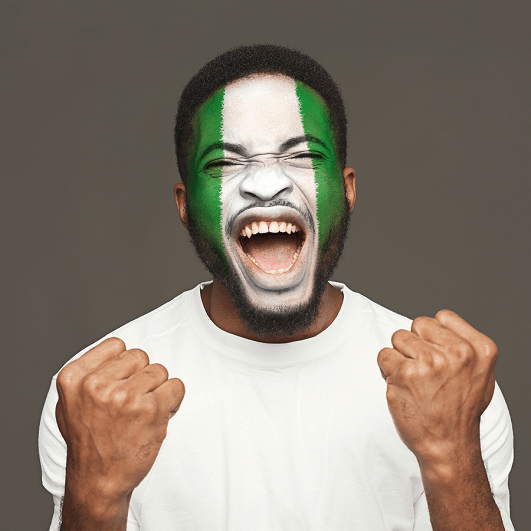 If you want to trade currencies in Nigeria, you must look for a broker that provides customer service in your dialect or mother tongue 24 hours in a day. If the broker you want to work with does not provide proper answers to your questions, resolve problems or issues, then you should not consider them at all. Other services include educational material such as texts, videos, and audios. Some brokers offer ebooks on different topics. Many top forex brokers also present fundamental and technical analyses on a daily basis on their websites. Analysts predict shifts in Central Bank policies and project as to how the changes will impact currency exchange rates. Most of the brokers also provide forum memberships for traders to interact and help one another. Monthly trading contests involving high prize monies are held by some brokers. You can judge a broker’s reliability based on these aspects. In conclusion, protect yourself from unscrupulous brokers by following the aspects mentioned above. You need to work with a reliable broker in order to succeed in currency trading.